Matthew is a native of New Orleans and a graduate of Brother Martin High School. He earned a Bachelor of Science degree in Finance from Louisiana State University, in 2008, where he was a member of Phi Gamma Delta. He earned his Juris Doctorate from Loyola University New Orleans College of Law, in 2012. 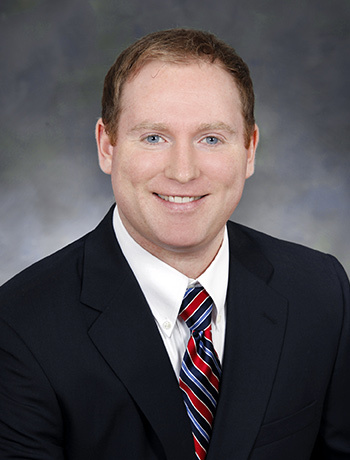 Matthew clerked for the firm, while in law school, and became an associate in 2012. He was named an equity partner in 2018. Matthew has an extensive litigation practice focused in the areas of insurance defense, property and casualty, insurance coverage, bad faith and extra contractual claims, insurance fraud, commercial litigation, automobile casualty, and general civil litigation. He has tried numerous bench and jury trials to verdict in state and federal court. He is admitted to practice in all Louisiana state and federal courts, and is a member of the American Bar Association, the Federal Bar Association, the Louisiana State Bar Association, the New Orleans Bar Association, and the Louisiana Association of Defense Counsel (LADC). Matthew was named a finalist for the LADC’s 2016 Frank L. Maraist Award, which recognizes young lawyers who have made outstanding achievements in their legal practice and exemplary contributions to the legal profession, the defense bar, and the community. In his leisure time, Matthew enjoys long distance running, fishing, playing guitar, and spending time with family and friends.